In the past I've worked on consumer software and enterprise software, but this will be my first time working on open source software. It'll also be the first time I've joined a company without my existing software coming with me. FeedDemon is going away soon, and I no longer work on either Glassboard or Social Sites. I'm starting fresh with Automattic, which is a very welcome change. When I talked with Matt Mullenweg about Automattic, he mentioned being proud of the company he helped build. At the time I didn't know too much about the company, but the more I looked into Automattic the more I realized why it's something to be proud of - and why I wanted to work there. They treat their employees the same way I try to treat the end users of my software. As a developer, I've tried to provide a great experience to those who use my software. 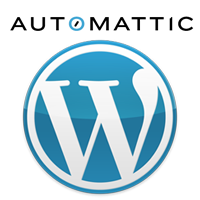 As a company, Automattic tries to provide a great experience to those who work there. People stick with you when you provide a great experience. They also, of course, make great software. I'm looking forward to a chance at helping them continue to do that. PS: Yes, I recognize the irony of a TypePad blog post announcing that I'm joining the WordPress people :) I've been wanting to move to a different CMS for quite a while - this gives me even more incentive to finally do so.